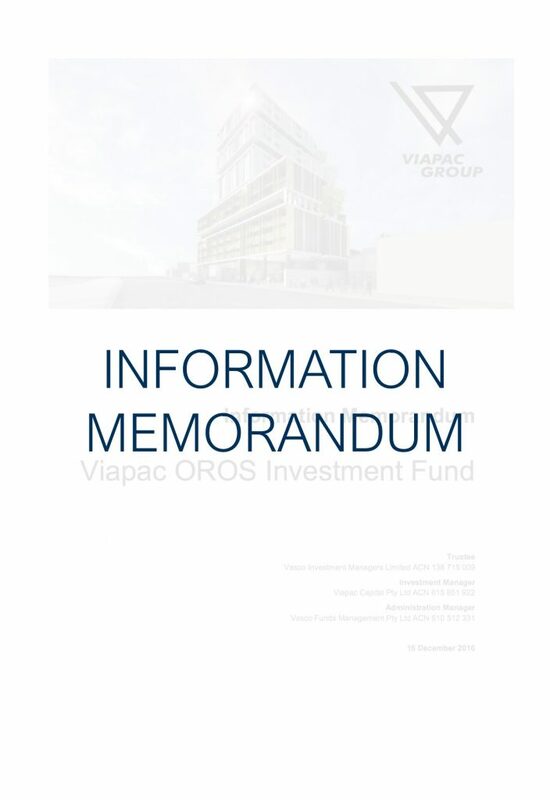 The Viapac OROS Investment Fund will provide investors a clearly defined annual target return on their investment. Investors will be able to select from different unit classes, each offering different target return rates depending on the minimum amount invested in the Fund and withdrawal options. Complete details are available in this IM and Term Sheet for each Unit Class.